The Philippines will send one athlete to the 2018 Summer Olympics in PyeongChang, South Korea. That athlete will be just the fourth from the Pacific Island Country to appear in a Winter Olympics since 1972. Below is the Philippines Olympic Team roster. The heading and gender is followed by the number that sport and the athlete in that sport. His name is followed by, age and current hometown, as well as the events in which he will be competing. 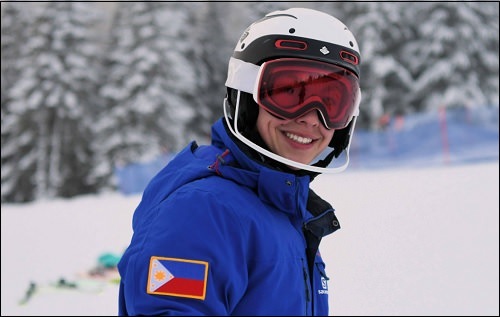 High school senior Asa Miller will be the Philippines' lone member of its Olympic team. For his part, Miller's response to qualifying for the Olympics is as follows: "I'm super proud to be representing a country on a world stage. That's just ... it's unreal." The Philippines will pay Miller's bills while he is in PyeognChang, but it is up to Miller to pay for his expenses to and from South Korea. Those include equipment, entry fees and, understandably, a few souvenirs. A GoFundMe Page has been established to meet those ends. The goal is to raise $7,350. Thus far, he has raised just over two-thirds of that. The reader can click to find the GoFundMe Page.